December is rolling around and Christmas is coming up – The season of giving! Give your best gifts yet for all of the special people in your life with the help of our Top Gifts Guide! 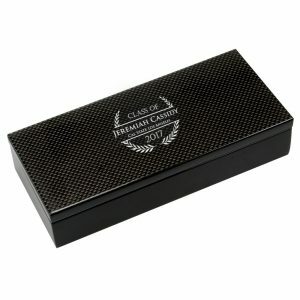 These Items are hand curated and specially designed for your favorite people and sure to impress everyone on your list! 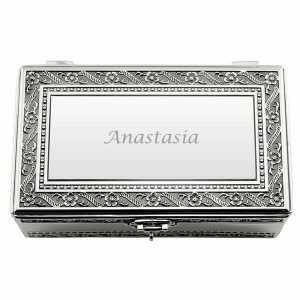 Give her a place to keep all of her precious family heirlooms and favorite pieces of jewelry with a special personalized jewelry box. 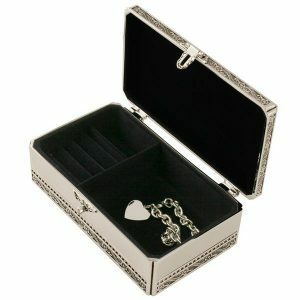 Keep her jewels safe in style with this silver jewelry box with lock and key. From wood to glass and everything in between, we have styles for every lady’s taste. 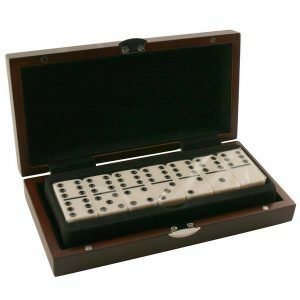 A handsome domino set is the perfect gift set for those warm cozy nights in. 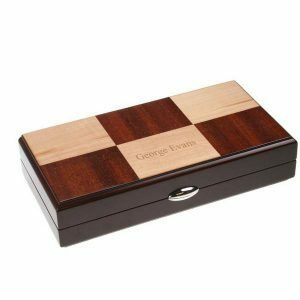 Engrave with a gentleman’s monogram or name or even a fun saying. Great addition to the family room or man cave and perfect for men of all ages, it is sure to impress and be used regularly. Celebrate young love this Christmas with a special gift just for the lovely couple! 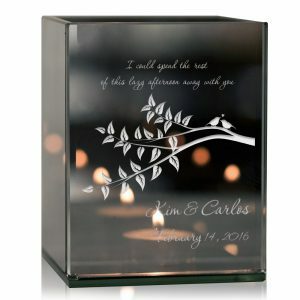 Light up their home with love and warmth with an engraved tea light candle holder. 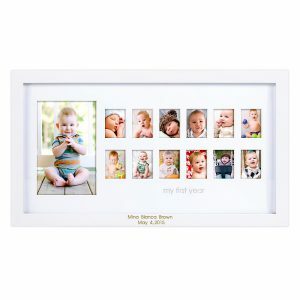 Personalize with their names and special date or message to really make it meaningful gift! Parents are the glue that holds it all together and connects all of the generations. 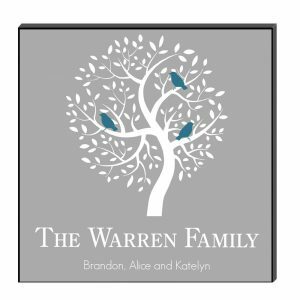 Celebrate the family they created with personalized wall art! 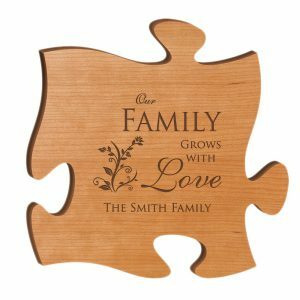 This Family Tree Panel is the perfect gift to hang in the den or family room. The people that started it all! Help them celebrate all the new additions to the family with this special Brag Book! 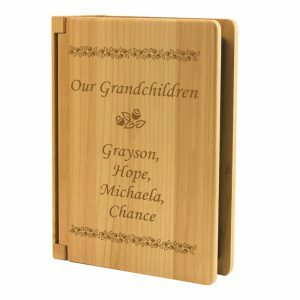 Engrave with the names of all the grandchildren, fur babies and anyone special enough to brag about to really make it special! First Christmases are very special! A time to welcome the new little one into the family traditions! 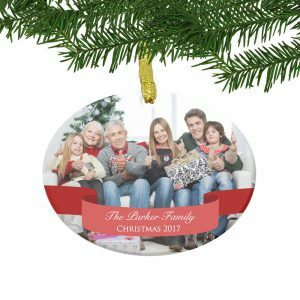 A personalized First Christmas Ornament is always special – but this personalized first year frame is sure to impress! Featuring a photo slot for each month in the first year, you can document all the little changes! 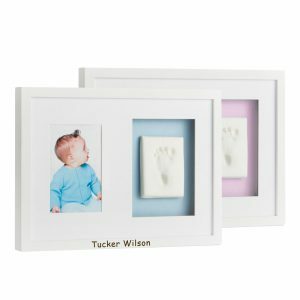 Engrave with their name and birth date to really make it a thoughtful gift for the family. Treat your furry friend to a sweet gift this Holiday Season! 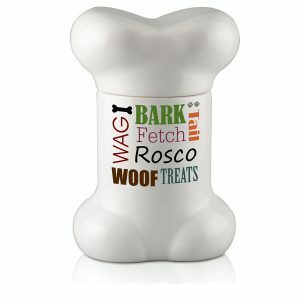 This personalized dog bone treat jar is the perfect gift to your good boy or girl! Our matching pet food and water bowls is the perfect addition to any kitchens décor. The best part of the Holiday Season is spending it with your family and extended family. Looking back at old photos and reminiscing of years past is a holiday tradition! 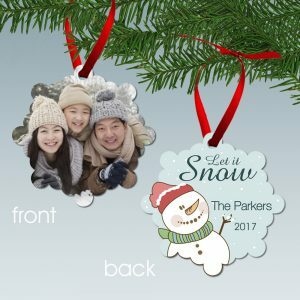 Make this Holiday Season extra memorable with a personalized Photo Ornament for everyone in your family. A gift that will be displayed on their Christmas tree for years to come! Celebrate the recent graduates in your family with a special Christmas gift to inspire their future! 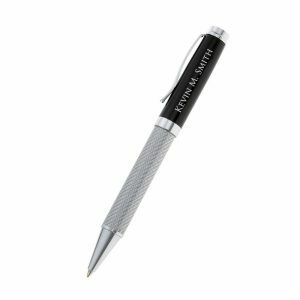 A personalized pen set can give them the confidence to reach their goals every time they use it. Celebrating a milestone anniversary is special, especially around the holidays! 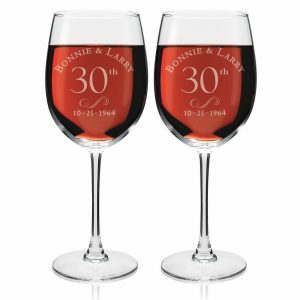 Help make this holiday season extra special with a personalized anniversary gift! 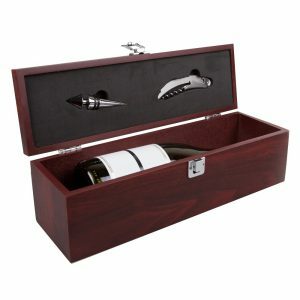 This engraved Wine Box set and Wine Glass Set is the perfect gift for that special couple who seem to have it all! Gifts for your family, friends and loved ones are always the most important. You want to make your loved ones happy and give them something that they will use and remember forever. This holiday season celebrate your loved ones with a personalized gift.